1) DO ask – how much maintenance am I willing to endure? 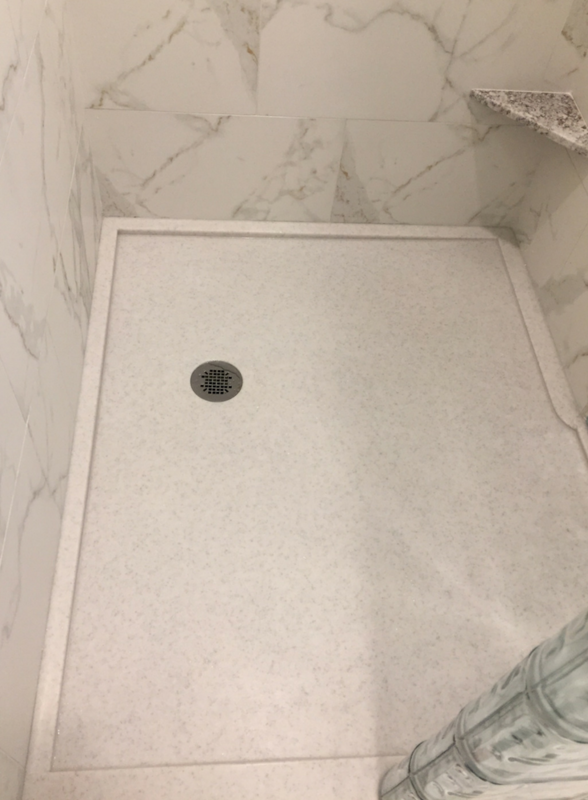 One of the reasons most people do a shower remodel in the first place is their frustration cleaning tile grout joints, or attempting (unsuccessfully) to clean the bottom of a standard builders-grade fiberglass shower pan or tub. Scrubbing tile grout joints is the ultimate sacrifice you make in being a home-moaner (yes- this is spelled right!). You’re moaning about cleaning the tile joints on the shower walls. You’re moaning about your inability to get the now-yellowed finish or dirt off the bottom of the pan. Why put up with this frustration? Here’s what I’m going to tell you happens more often than you can imagine. Owners say I’m done with grout ounce and forever. Then in the process of doing the remodel they chicken out (sometimes because the contractor says he is really good at tile) and put tile in once again. It’s the easy way out in the short run. Don’t take the path of least resistance (for your contractor). When you start this project remember the pain which got you into this process in the first place. There are cool shower wall surrounds you can get to eliminate this maintenance hassle. Look into lines of grout free shower wall panels (check out point #7 below and our hot new product in the next paragraph). There are lines of waterproof laminated wall panels (the hot new product), high gloss, solid surface and even a DIY friendy faux stone wall panels which look like real granite – but cost much less and are simple to maintain. 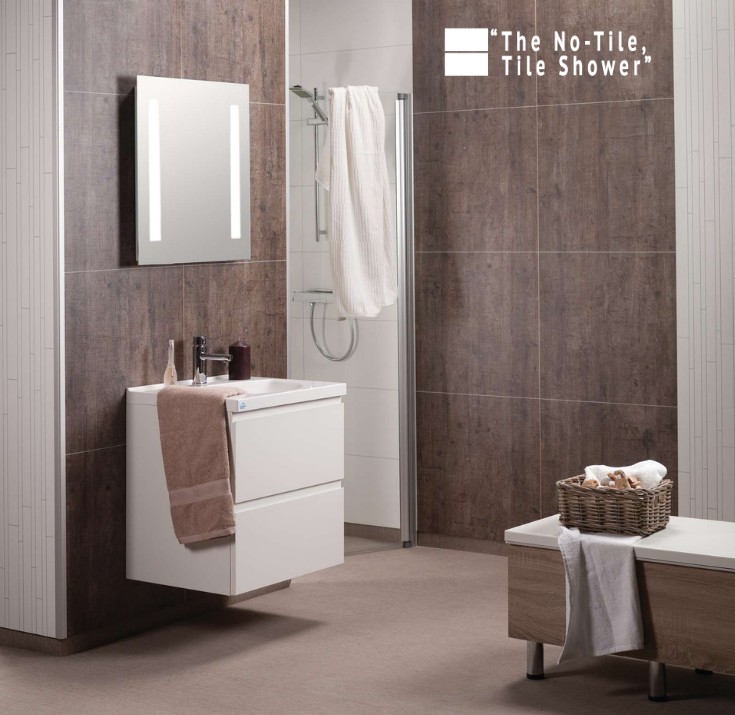 On the other hand – if you really do love tile there are some options to choose to cut down maintenance. Use large format tiles because they have smaller joint sizes and use a urethane or epoxy grout which is more durable than standard sanded grout (sanded grout is what your contractor is likely to use if you don’t insist on something better). 2) DO assume – what you can’t see behind your shower walls WILL hurt you! There is more to a shower than meets the eye. What is lurking behind your shower walls can and will hurt you. If you’re ever demoed a “spongy” tile wall with standard drywall behind it, or had a loved one fall and get hurt because a grab bar came off the wall you know what I mean. 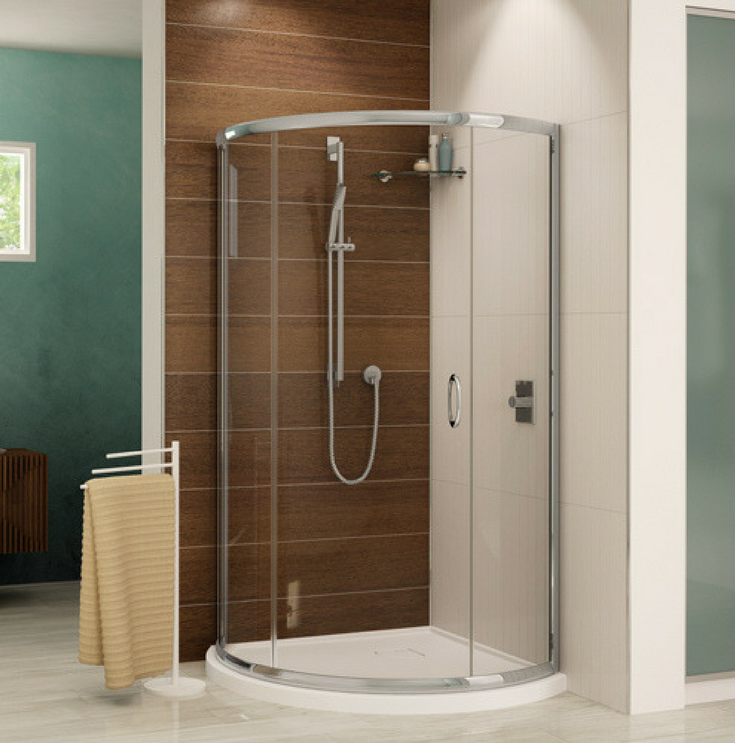 Shoddy construction methods used by a previous DIY owner or “slam-bam-thank-you-ma’am” contractor who cut a “few corners” may be the reasons you’re shelling out big-bucks now to renovate your shower enclosure. Eliminate these problems by spending a few extra dollars on what you don’t see behind the walls. To get rid of the worry of spongy tile walls, use a waterproof wall backer system (products like Wedi wall boards or the Schluter system are excellent choices). They are simple to install and are a ‘closed cell product’ so they won’t absorb moisture (note – a standard coffee cup is another example of a closed cell product – it’s design makes its waterproof). To make sure your safety grab bars keep a family member from falling, put wood backing behind the shower walls. When a bar is mounted (whether it’s now or in the future) it can be tied securely into this wood. Do place your shower value (if possible) on a wall where it’s location can be accessed (from the back) if it goes bad (this way you won’t be tearing the entire wall down on the inside). Simple “behind the wall” safety measures can save huge dollars and personal aggravation from a family member spending time in a hospital. Have you ever loved the sales rep who sold you the project only to become “over the top mad” when the “airheads, boneheads or knuckleheads” (these might be the words you’ve used and some I can’t print here as well) start “installing” the job for you? Before you hire the right contractor know the skills of the people who will be working on your project. 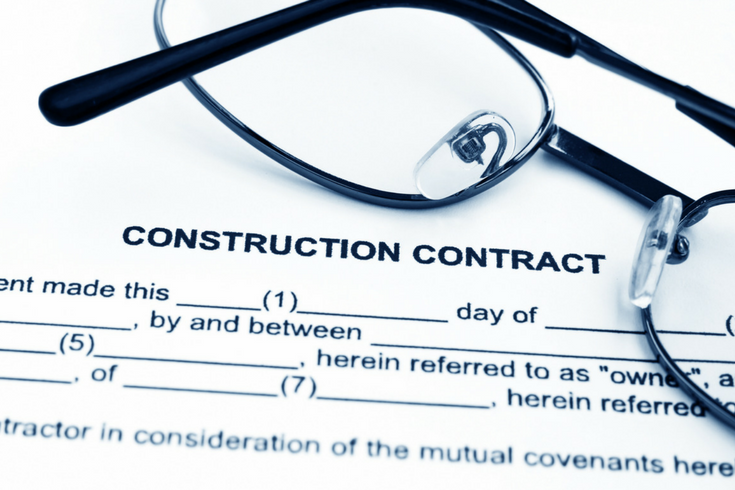 If you’re hiring a general contractor ask who(m) the subcontractors are going to be. How long has this company worked with them? If your general contractor is doing the work with his/her own people get input about their project superintendents and workers. Ask, who will be coordinating the project? When are they purchasing materials (this is key to know so you make sure your project doesn’t last FOREVER!). Do your due diligence. Remember you’re hiring a team of people, not just ‘Chuck in a truck’ (hopefully). Shower remodeling is like brain surgery – you’re going to be opening up “the patient” (in this case your shower)! Since you don’t have x-ray glasses (although I always wanted to get the x-ray glasses on the back of the comic books in the 60’s , but I digress) there can be problems lurking behind walls or underneath the shower pan neither you (as a DIY’er) or even a professional contractor can see before the job begins (note: this as the same problem a surgeon has when they “get in there” to work on your body). So, what can you do about this? Expect (and budget for) the unexpected. When planning a shower remodeling project don’t commit every penny up front. Build into your budget a 10-15% cushion. Hopefully you won’t need extra money to replace a rotten subfloor, or add insulation behind the walls which doesn’t exist today. However, expect some unexpected costs. Budgeting can be tough work! You live in a small town and Billy Ray Bob (the contractor you’re thinking of hiring) just completed your brother in laws bathroom remodel. It only took him 3 months, but at least your brother in law no longer needs to come over to your house to use your shower anymore! Billy Ray isn’t exactly the most up to date contractor in the world. If remodeling in your town resembles this picture you are not alone. The key to not having this never-ending-shower project is to find simple products to install. But how, you may ask? Go on the net. Seek out nationwide suppliers who are not only capable of shipping you unique products, but more importantly have people to offer expert advice for an easy to install shower. I would suggest reading bathroom remodeling blogs and then clicking back to the people/companies who write these articles. 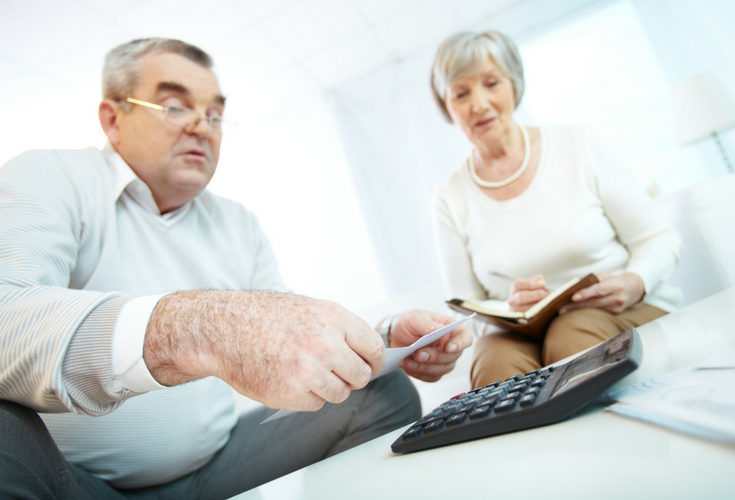 Why not go to the source for your expert advice vs. relying on amateurs? You’re getting desperate to fix this shower. The tiles are falling off the walls. The toilet bowl is rusted. The bathroom vanity looks like it’s out of the Brady Bunch. The problem is, finding a contractor in your town is like finding a needle in a haystack (and the problem is getting worse as you and I aren’t encouraging our sons and daughters to go into the trades). Your panicked state may make you to want to hire the first guy in the door. Don’t do this. Remodeling (unlike changing your oil) is relationship, not a transaction. Don’t hire the buddy of the guy you work with who “does work on the side” (this is slang for he’s a novice, but he’s really “cheap!”). Try to get 2 to 3 legitimate contractors to look at your project – ones who will give you ideas. Check out review sites. See how other homeowners have liked working with these guys. This is NOT an impulse purchase. Be thoughtful. Be measured. Make a sound choice. This is a pain point near and dear to my heart. It may be because we supply 3 different lines of grout free shower panels and I deal with these products all the time. Many people assume all grout free shower panels are the same cheap 1/8” thick junk they can grab off the shelf from the big-box stores. Can you say FRP (Fiberglass Reinforced Plastic) panels for $35 bucks a piece? 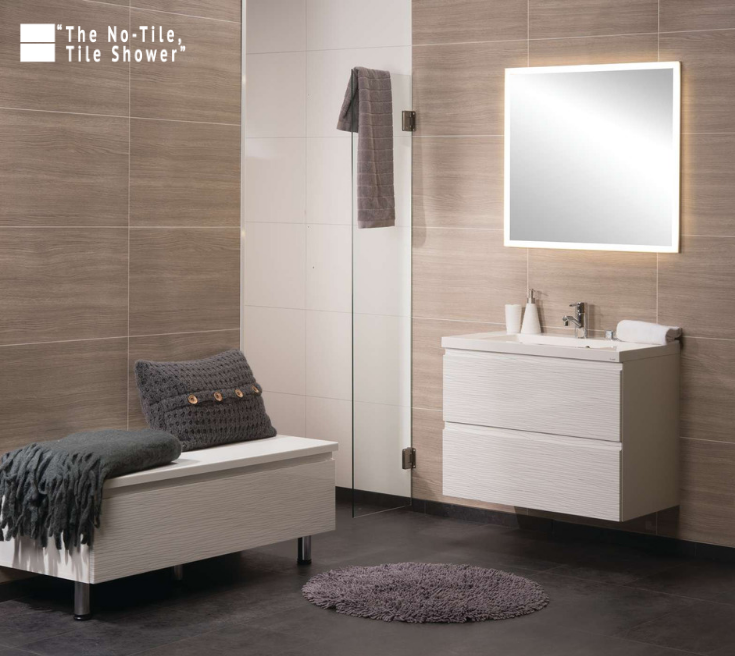 Many people settle for tile (AGAIN) because they assume cool and durable shower wall panels which eliminate the hassle of tile grout joints don’t exist. This is false, false, and false. If you’re into a contemporary fashion-forward look high gloss wall panels are minimalist and perfect for today’s bathrooms (they are pricey, but way cool). If you want a Shabby Chic, Modern Farmhouse or even a Minimalist vibe these laminate wall panels are new product to the United States (although they’ve been sold in Norway since the late 1990’s) you’ll want to see to believe. 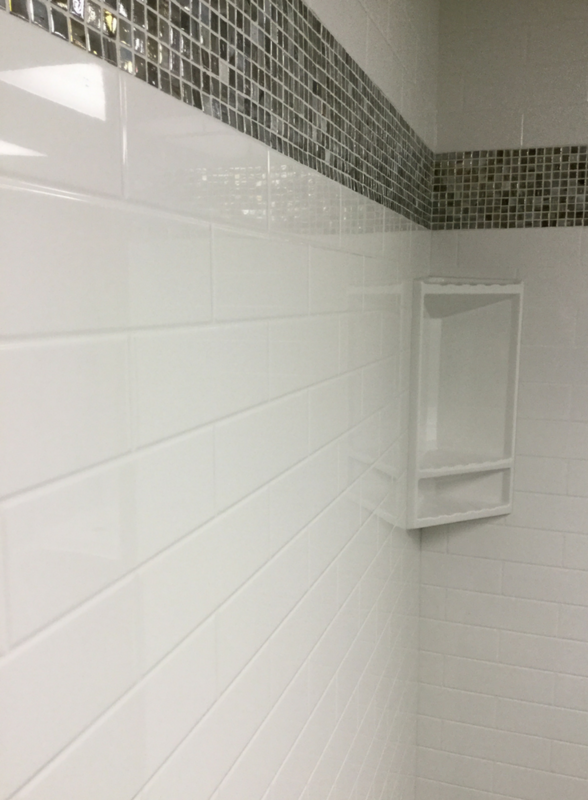 If you like a traditional subway tile or stone tile look solid surface shower wall panels are the ticket. They also come in 51 standard colors and 4 textures. If you want the look of natural stone – without the cost or installation hassle –DIY friendly PVC composite wall panels are a sound choice. 8) DON’T be a wimp. 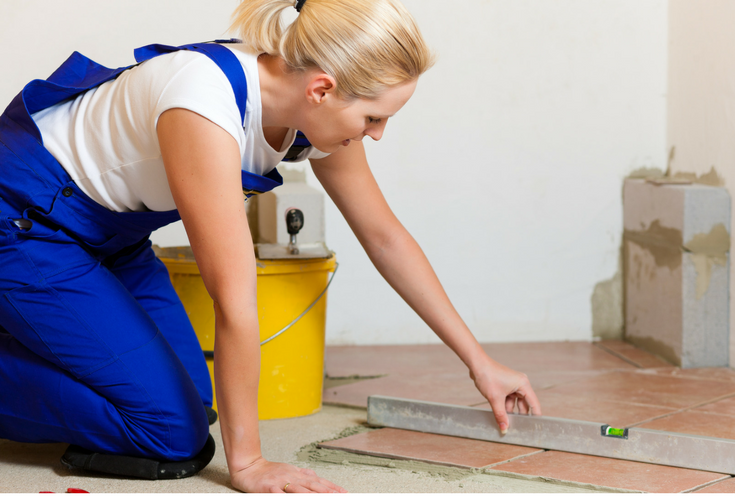 Don’t let your contractor walk all over you! I know contractors can be scary. They carry around hammers and crowbars for a living. However, this should be no reason you can’t get what you want. Many times, I see people who settle for products because their “path of least resistance contractor” refuses to learn how to work with a new material. 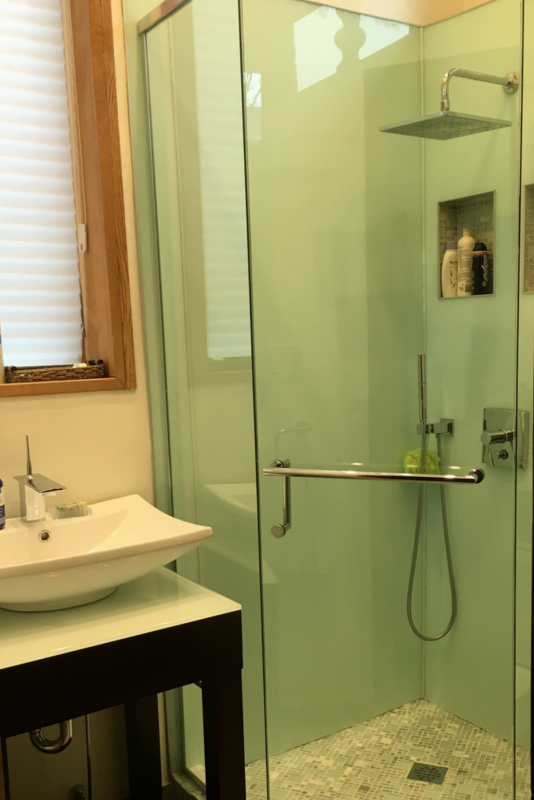 It will take patience and persistence to get what you want – but why settle for higher maintenance products (like a tiled shower) where you’ll be dealing with the scrubbing and maintenance ? Ask your material suppliers for help finding qualified (and progressive) contractors. Decide if the products you want are simple enough to DIY a portion of the work. Make an oath to yourself before you start to get what you want. 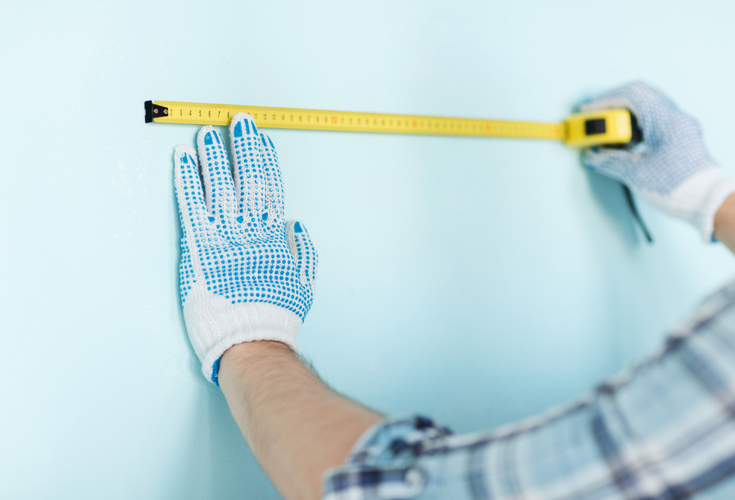 This may seem weird to talk about but countless mistakes are made in shower remodeling because one person doesn’t understand the measurements another person gives them. What’s the length? What’s the width? Does the height of the wall begin at the top of the shower pan or the bottom of the bathroom floor? I just got done talking to someone who went to the store with the people in orange smocks. They told the store associate they needed a 36 x 48 shower pan. He said, “Excellent – I can help you. He quickly gave them a standard 48” wide x 36” deep shower pan. The problem is when they got home they realized they need a custom size which is 36” wide and 48” deep. So back to the Orange big-box store to return the pan and onto the Internet they went to find a custom shower pan. Communicate what size you need. Give a drawing to the supplier. You can’t be specific enough. The extra effort will save you time, money and return hassles. I’m going to come clean right here and now. I’ve been in the remodeling business since 1985. Yes, I understand remodeling products and processes but I’m a business guy who happens to be in remodeling. My hands are smooth. My fingers can rock a mean word processer. I can use my voice to explain construction products and processed with the best of them. However, I don’t swing a mean hammer. I can offer cool ideas about remodeling products but I would not hire ME to install your job (note – I’m the same guy who at the age of 25 bought 3 separate pieces of carpet to replace one bathroom floor. As my wife Rose how pissed off I was that day!). Now I would hire some of the great guys who work in our business to help you with your job (I just wouldn’t hire me personally to do your construction work). As Plato once said (getting philosophical with you here) “I know that I know nothing.” Put another way, a wise man (or woman) knows what they don’t know. The worst thing you can do is try to do a shower remodeling project yourself if you don’t enjoy working with tools and are not handy (you don’t want to buy 3 pieces of carpet to do one bathroom floor like me!). Know your limitations so you don’t waste time, money and get aggravated. Hire a professional if you don’t have a clue. As mentioned above remodeling is not a transaction (even though you may only do it every 5 to 10 years) – when you have contractors in your home it’s a relationship. And I can tell you contractors who are treated well on the job can AND DO deliver a better job when they are not talked to like the ‘hired hand.’ Back in the old days (yes – I’m 58 – although after $9.99 bottle of hair coloring I swear I don’t look a day over the age of 57!) I used to have an old grizzled installer in one of my businesses name Pete. When you’d offer Pete a cup of coffee you got Pete’s “A game.” When you didn’t Pete became more of a C- craftsman (this is one the reasons I eventually had to move on from Pete). With these being said there are a lot of contractors like Pete. If you want the best out of your skilled craftsmen/craftswomen it doesn’t hurt (AT ALL) to butter them up with a cup of coffee, some cold waters or gooey brownies. As that old saying goes, “You’ll catch a lot more flies (and get a better shower remodel) with honey! 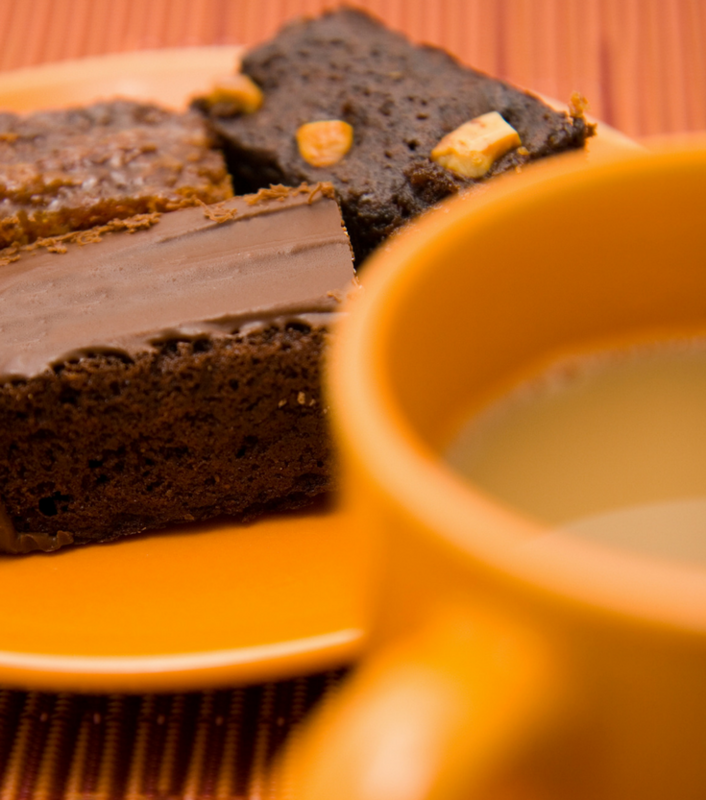 Gooey brownies never hurt anyone (unless they’re a diabetic!). I’m sure you’re heard the term the devil is in the details. Well some of the construction industry ‘buy into’ a job with a cheap initial bid price (or with ‘allowances’ which are skinnier than Mom and Dad used to give you back in the day). 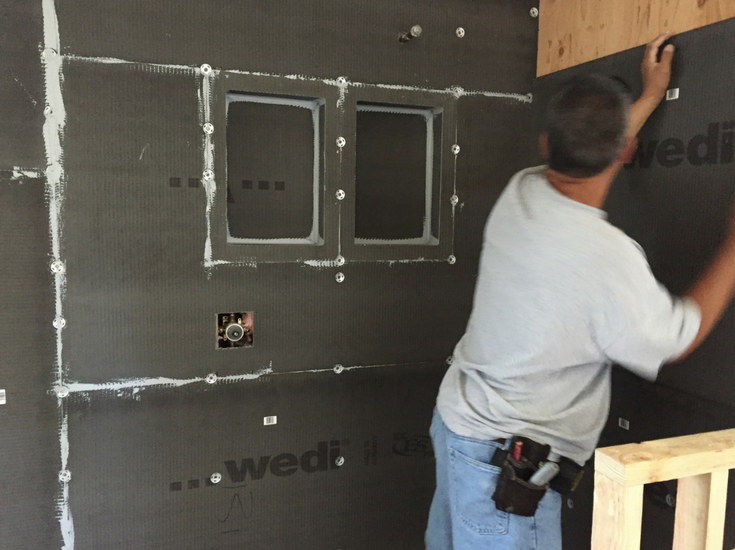 Before you sign on the bottom line pay attention to the construction details and the ‘scope of work.’ What type of backer board system is behind your shower walls? When will this contractor be completed with the job? Is there a penalty if they start to resemble Eldon the Painter from the old show Murphy Brown? Will they (or can they) provide you with references? Low, low prices can be enticing. But don’t be fooled by cheap imitations of a quality contractor. In many cases you do get what you pay for. Make sure you know in the contract what you’re getting. You shower pan is the foundation of your entire project. If it fails, “Houston, you have a problem!” This problem could be leaking on the floor below – and the need to re-remodel (although this isn’t a word, I’ll tell you it happens in real life. Don’t get caught on the short end of the stick with a cheap shower pan which flexes (or worse yet) cracks. Go for one which is built like a stone. There are 2 ones I’d recommend you can check out below. The first is a cultured marble shower pan. They are made of a man-made stone. They are built like a tank. They aren’t cracking. The second option is a reinforced acrylic shower pan. Unlike the cheaper acrylic pans out there this one has an MDF core underneath the acrylic top surface so it won’t flex when you walk on it (and would be very unlikely to crack). The advantage it has over the cultured stone base is it’s lighter on the pocketbook. The disadvantage it has it’s only made in standard sizes. Shower remodeling can be a tricky process. You need to know where to be stubborn (doing the research and getting the products YOU want) and know where to not be stubborn (getting help if you’re going to DIY the project or hiring a winning remodeling contractor). 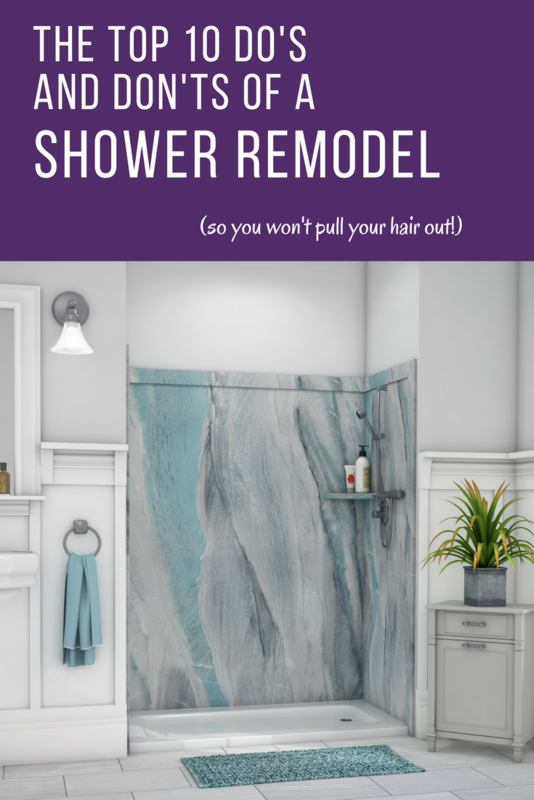 Follow these 10 do’s and don’ts (and the 2 new bonus tips as well) and so you won’t be pulling your hair out (or at least not as much hair) over this shower remodeling project. As (hopefully) you can tell from above – I’m passionate about remodeling. If I, or a member of my team, can help you we’d love to be of service. For nationwide shower remodeling kits call Innovate Building Solutions at 877-668-5888. 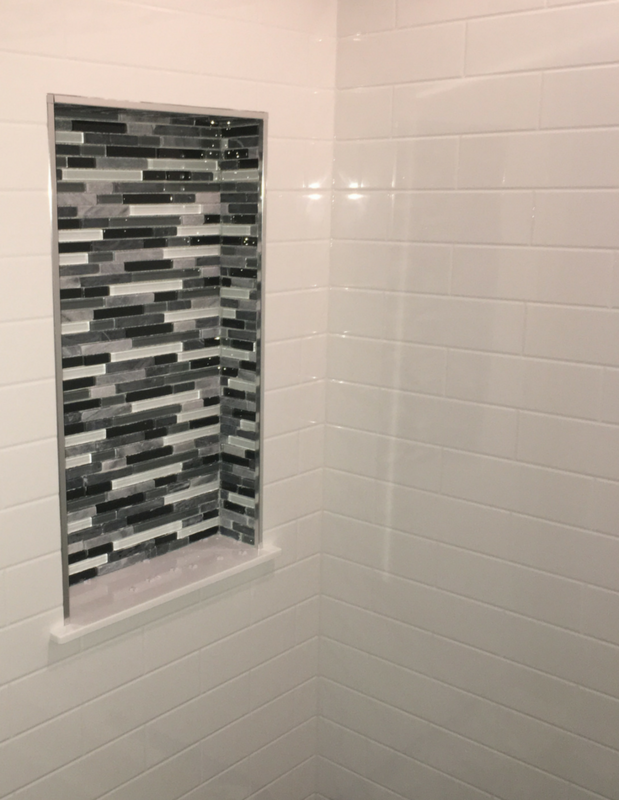 For a bathroom remodeling project in Cleveland call our division Cleveland Design and Remodeling (216-658-1290) or The Bath Doctor (216-252-7294) in Columbus. Connect with me on Twitter @Mike_Foti or my companies @InnovateBuild or @InnovateHomeOrg for input on remodeling products and processes with a bit of my wacky humor thrown in along the way.